According to the latest rumors, another celebrity couple is dealing with some serious problems, which might mean that their marriage is close to an end. 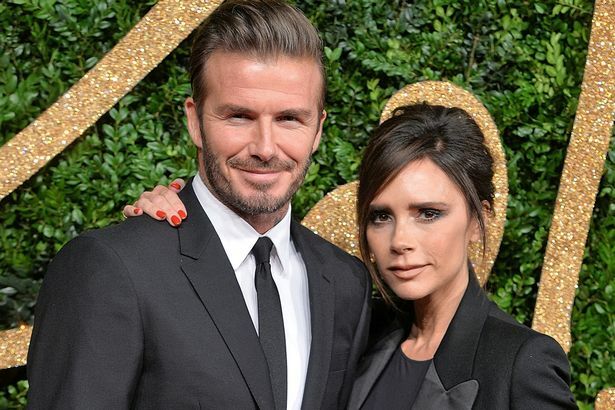 So, the rumors claimed that David and Victoria Beckham might deal with some marriage problems. The rumors emerged after it has been revealed that David has resigned from Victoria’s fashion company. The fact that David decided to resign from his director position was revealed through some court documents from Victoria’s company. The documents indicated that David secretly resigned back in December, 2014. The document was obtained by Radar Online, which revealed the shocking decision, after no less than six years of heading the company alongside his wife. Of course, the real reason of his decision was not revealed, but it has been claimed that the reason why David exited the company actually lies in the couple’s relationship issues. The court documents also revealed that this company’s “entire issued shared capital was transferred to” its parent company, Beckham Brand Holdings. “[All] contracts held by the company related to the David Beckham brand were transferred during the year to DB Ventures Limited, a sister company,” the court documents said, explaining that this sister company is “focused on exploiting the David Beckham brand.” The pair has not commented on these claims yet. However, this is not the first time when it is rumored that Victoria and David are going to get divorced. In fact, like any other celebrity couple, the two have been constantly associated to a series of rumors throughout their marriage. Divorce rumors intensified in 2014, when the pair started to sell some of their properties. They sold their so-called Beckingham Palace estate. The pair also sold last year their Madrid mansion and their home on the French coast of Cote d’Azur. The two have always denied the rumors indicating that they were dealing with problems. And without a doubt, the rumors turned out to be false, as the two stars remained a married couple. Last month, Gossip Cop also denied the divorce rumors, indicating that it talked to a rep for David, who claimed that the split claims were not true.